October 8 is the 281st day of the year(282nd in leap years) in the Gregorian calendar.There are 84 days remaining until the end of the year. 1962 –Der Spiegel publishes an article disclosing the sorry state of the Bundeswehr, and is soon accused of treason. The Battle of Cibalae was fought on October 8, 314, between the two Roman emperors Constantine I and Licinius. The site of the battle was approximately 350 kilometers within the territory of Licinius. Constantine won a resounding victory, despite being outnumbered. Year 319 BC was a year of the pre-Julian Roman calendar. At the time, it was known as the Year of the Consulship of Cursor and Cerretanus. The denomination 319 BC for this year has been used since the early medieval period, when the Anno Domini calendar era became the prevalent method in Europe for naming years. Pyrrhus was a Greek general and statesman of the Hellenistic period. He was king of the Greek tribe of Molossians, of the royal Aeacid house, and later he became king of Epirus. He was one of the strongest opponents of early Rome. His battles, though victories, caused him unacceptably heavy losses, from which the term Pyrrhic victory was coined. He is the subject of one of Plutarch's Parallel Lives. Year 1150 (MCL) was a common year starting on Sunday of the Julian calendar. 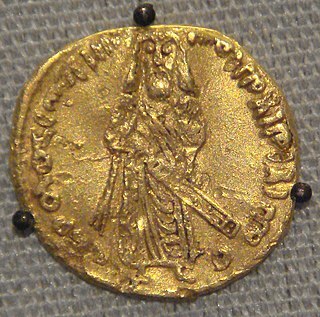 ʿAbd al-Malik ibn Marwān ibn al-Ḥakam was the fifth Umayyad caliph, ruling from 685 until his death. At the time of his accession, Umayyad authority had disintegrated throughout the caliphate and had begun to be reconstituted in Syria and Egypt during the short reign of his father, Caliph Marwan I. Abd al-Malik's early focus was to consolidate Syria before attempting to reconquer the remainder of the caliphate from his principal rival, the Mecca-based caliph Abd Allah ibn al-Zubayr. To that end, he concluded an unfavorable truce with a reinvigorated Byzantine Empire in 689, fended off a coup attempt in Damascus by his kinsman the following year and reconciled with the disaffected Qaysi tribes of Upper Mesopotamia in 691. He subsequently conquered Zubayrid Iraq and dispatched one of his generals, al-Hajjaj ibn Yusuf, to Mecca where he killed Ibn al-Zubayr and restored Umayyad rule in Arabia by late 692. Al-Hajjaj ultimately became the caliph's viceroy in the east and firmly established Abd al-Malik's authority in Iraq and Khurasan, having stamped out opposition by the Kharijites and the Arab tribal nobility by 702. In the west, Abd al-Malik's brother, Abd al-Aziz, maintained peace and stability in Egypt while his troops retook Qayrawan, which served as the launchpad for the conquests of western North Africa and Hispania under the caliph's sons and successors. Saint Reparata was a Catholic virgin and martyr of the third century AD, possibly mythical, of Caesarea, Roman Province of Palestine. 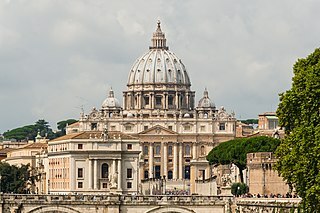 Sources record her age as being from 11 to 20 years old, though Sainte-Réparate Cathedrale in Nice gives it as 15 years. She was arrested for her faith and tortured during the persecution of Roman Emperor Decius. Yves or Evodius, Lisoie, Yvoire, or Evodius, was an early bishop of Rouen. He is considered to be a saint by the Roman Catholic Church with a feast day celebrated on 8 October. Palatias and Laurentia are martyrs venerated by the Roman Catholic and Eastern Orthodox churches. According to tradition, Palatias or Palatia was an aristocratic Roman woman who was converted to Christianity by her wet nurse or slave Laurentia. They were executed for being Christians at Fermo, in present-day Italy, during the reign of Diocletian. Wikimedia Commons has media related to October 8 .